While they may be old, Geo cars are dependable. The proof of that can be seen by the number of these that are still on the road today. On top of their reliability, they get gas mileage that can rival modern hybrid vehicles. So what makes Geo's such good cars? They were simple. Fixing and repairing a Geo car was easy. They had simple engines and elegantly simple designs. In a world that pushes for more and more complex solutions, they were represented simplicity of purpose. As a result, Geo's have a loyal following of owners and enthusiasts, all dedicated to keeping their Geo running. 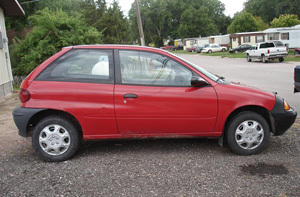 Here at Geo-Parts.com our goal is to help you easily find replacement parts for your Geo Metro, Geo Tracker, Geo Storm or Geo Prizm. 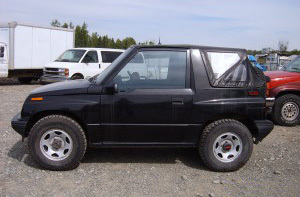 We can also help you find parts for your Chevy Tracker or Chevy Prizm. We realize that sometimes it can be really hard to find replacement parts for your Geo. So we have complied extensive lists of new Geo parts and even used Geo parts. So whatever Geo part you are looking for, we probably have it listed.